As a design professional Steve has used AutoCAD for over twenty years since Release 13. Having graduated from Leeds Polytechnic with a degree in Three Dimensional Design and a specialism in furniture design he worked as a freelance furniture designer where he gained valuable knowledge and practical experience. Steve joined Cadassist in 1998 as the Built Environment Solutions Trainer. 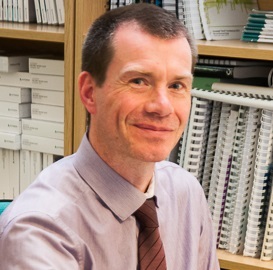 Between 2005 and 2013 he held the position of CAD Manager for Blackpool Councils Central Seawall Project which was awarded the prestigious Brunel Award. Recently re-joining Cadassist as Senior BIM Training Consultant, Steve specialises in delivering training within AutoCAD, AutoCAD MEP, AutoCAD Architecture, Revit Architecture, Revit MEP and 3ds Max Design.